BUDAPEST, Hungary, 2018-Mar-28 — /Travel PR News/ — The start of the summer season sees a further two new connections from Budapest Airport as the Hungarian gateway continues to expand its route map. 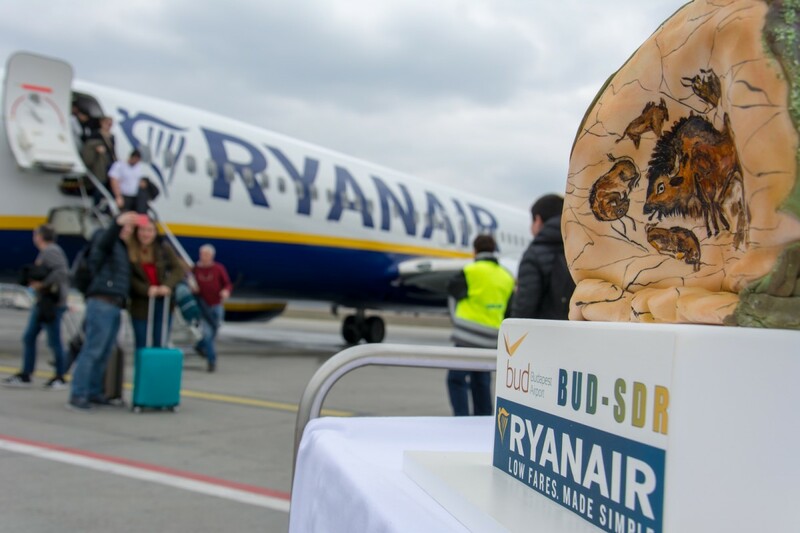 Supporting the growth of the airport, Ryanair added a twice-weekly service to Santander yesterday, which sees Budapest now offer 11 Spanish destinations on its network this year. Today the ultra-low-cost carrier (ULCC) also launched the airport’s first connection to Paphos, adding to Budapest’s growing list of destinations. “It’s always a pleasure to launch a new connection from our airport, and to be able to welcome two in as many days with a valued partner is a very good reason to celebrate,” enthuses Balázs Bogáts, Head of Airline Development, Budapest Airport. “Ryanair now offers 36 destinations from Budapest and, having seen a fantastic 23% increase in passengers from our airport in 2017, we look forward to working closely with the airline during what is already promising to be another successful year of traffic development for Budapest,” added Bogáts. Facing no direct competition on the 1,646-kilometre sector to Santander – a potential market of 39,000 passengers – the ULCC’s latest link to Spain joins its established operations to Barcelona, Gran Canaria, Madrid, Malaga and Valencia. The carrier’s second inaugural flight this week to Paphos will result in Budapest offering more than 200 flights to Cyprus this summer, and close to 40,000 one-way seats to the Mediterranean island. Following a busy first two months of the year, Budapest increased its passenger traffic by an average 16.5%. Welcoming an additional 250,000 travellers by the end of February, the airport is firmly on the path to hitting the one million passenger mark in March, a month earlier than it did last year, and breaking another record in the history of the airport. This entry was posted in Airlines, Airports, Flights, Travel, Travel Services, Travelers and tagged Balázs Bogáts, Budapest Airport, flights to Santander, Ryanair. Bookmark the permalink.